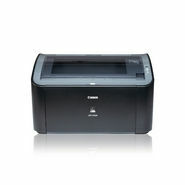 The Canon LASER SHOT LBP2900B Monochrome Laser Printer is a robust Black and white Laser Printer expressly designed to blend seamlessly with most small office environments. It ensures incredible quality results which are comparable with brilliant laser quality 2400 x 600dpi prints, and the printer largely ensures an unperturbed jam-free operation. Ensuring a fabulous Print Speed of up to 12ppm (A4), the Canon LASER SHOT LBP2900B Monochrome Laser Printer delivers a thoroughly optimized performance, and offers users an affordable and ace quality printing solution.